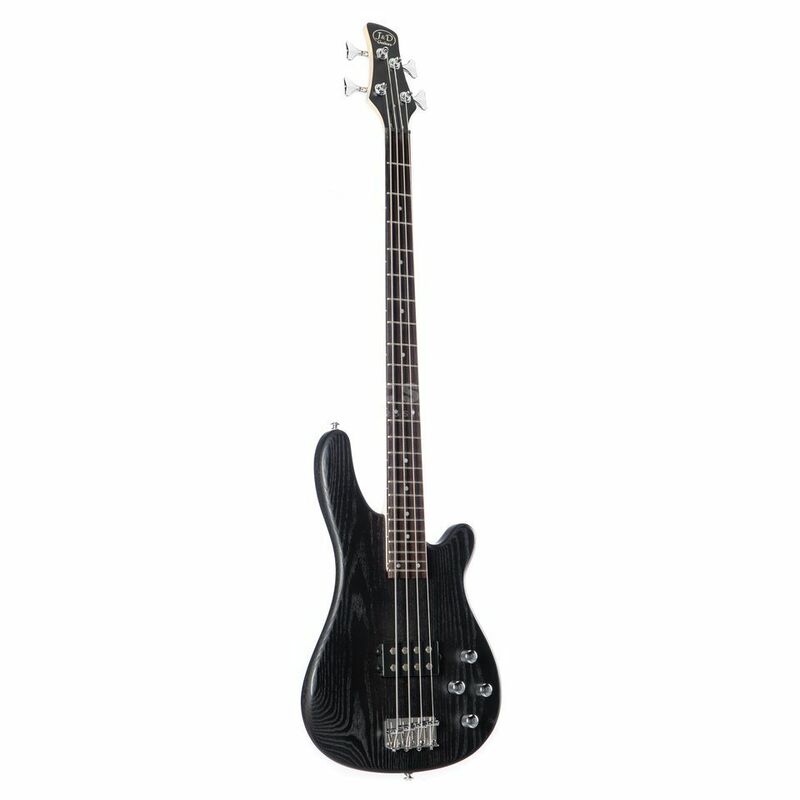 The J&D YC-200 Electric Bass Guitar, Black is a solidly built bass that delivers monstrous tone and power, all for a very affordable price. The YC-200 features a solid ash body, fixed hard rock maple neck that has been layered with a 24 fret rosewood fingerboard. This 33” scale bass also boasts active electronics (over a 2band EQ) that operate in conjunction with an independent MMB pickup that presents this bass with a broad range of impressive tones. The pickup is controlled by one Volume pot and one Tone pot. The J&D YC-200 also comes with Die-cast machine heads, is constructed using chrome hardware and is finished in black.